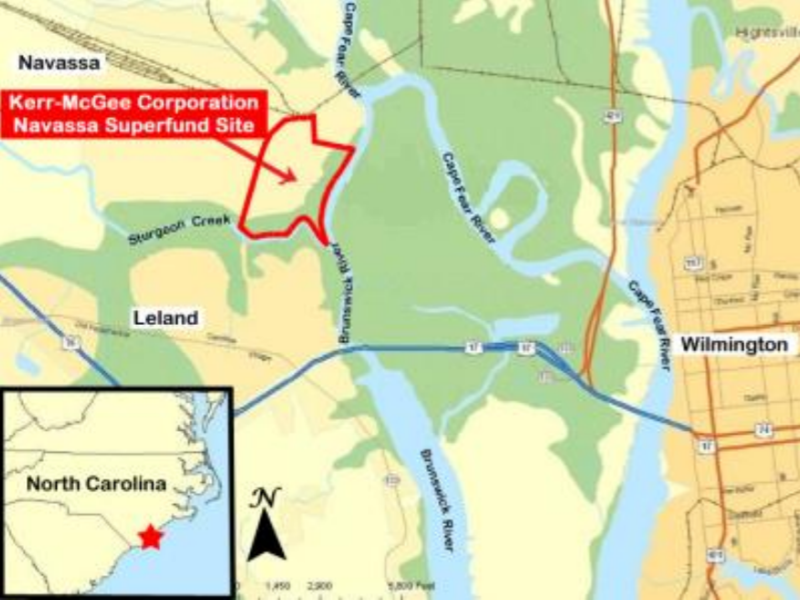 NAVASSA – Soil contaminated with a wood preservative used for decades at a defunct wood treatment plant here still appears to be confined mainly within the boundaries of the former facility. Samples routinely collected this year from more than 50 wells on and around the former Kerr-McGee Chemical Corp. site have consistently shown that some areas within the 251-acre property in Brunswick County have higher levels of creosote contamination than others, but that the chemical compound is not spreading, according to the latest results shared during the quarterly community meeting held Tuesday night. 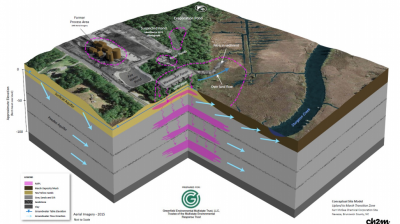 A total of $92 million to remediate the site and $23 million to restore surrounding land and waterways was allocated from the $5.15 billion total of what became in 2015 the largest environmental settlement in U.S. history. The wood treatment plant in Navassa was operational for nearly four decades. The plant opened in 1936 and went through multiple owners before being sold to Kerr-McGee, which closed the plant in 1974. The site was added to the Environmental Protection Agency’s Superfund program’s National Priorities List in 2010. The Multistate Trust was created in 2011 as a result of the settlement to oversee the cleanup and help develop plans for future use for the property. 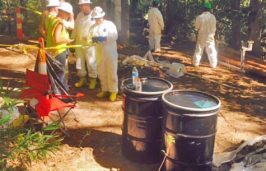 As EPA and Multistate Trust officials have previously reported, the densest concentration of creosote, a gummy, tar-like substance used to treat wood, is in the area where the chemical was placed into unlined ponds. “Here, it’s got a lot of contamination and it’s deep, 70 to 80 feet,” Elliott said as he pointed to a map of the site. 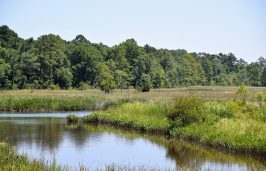 A primary theme reiterated during the quarterly meetings hosted by the EPA, Multistate Trust and North Carolina Department of Environmental Quality is that residents and business owners within the small, Brunswick County town are an integral part of deciding how the land should be used. “Don’t assume we know what you want because we really don’t,” Elliott said. The Multistate Trust must receive approval from the EPA and the state prior to selling any portion of the land. 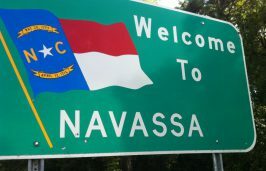 Navassa Mayor Eulis Willis said the town needs public access to the surrounding waterways. During the meeting Tuesday, residents were asked, rather than look at the property as one, large tract, to break the site into distinct blocks. How each segment, or what the EPA terms “operable unit,” is categorized is based on the ease or difficulty in which the contamination within it may be cleaned up or contained. The block with the largest and deepest creosote concentrations will, in all reality, not likely be cleaned, but the contamination will be contained. That’s an area that, for example, would not be well suited for a day care facility. In another block, where the wood at the plant was treated and then stacked onto drying racks to drip-dry prior to shipping, contamination is relatively shallow in the soil, Elliott said. “That looks like an area that you might just be able to literally take the dirt off the top a couple of feet,” he said. Testing results reveal light contamination in another block, where creosote is predominately in a couple of drainage ditches. The area referred to as the southern marsh has started to recover, Elliott said. There is no evidence creosote contamination has infiltrated drinking water sources in the town. Residents are being urged to follow the existing statewide fish consumption advisory. Jamie Pritchett with the North Carolina Department of Health and Human Service’s Division of Public Health said Tuesday that fish samples taken in the Cape Fear River, Sturgeon Creek and Brunswick River turned up “some concern” related to striped bass, striped mullet and blue crab. “We don’t believe any of these are associated with the Kerr-McGee site,” he said. Residents are advised to eat no more than three meals of striped mullet and blue crab per week. The state has a harvest moratorium on striped bass. 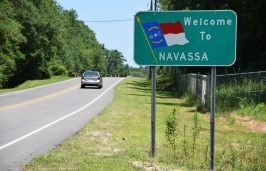 A workshop is set to be hosted Dec. 1-2 at the Navassa Community Center, where residents will get the opportunity to hear about possible uses for the site and share their ideas about how the land may be reused. The remedial investigation report of the site is expected to be released later this year and presented at the next quarterly meeting Jan. 16, 2018.